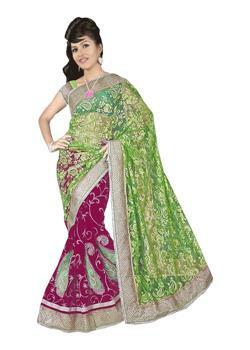 The elegant spring green colour saree for most spanking gorgeous look. 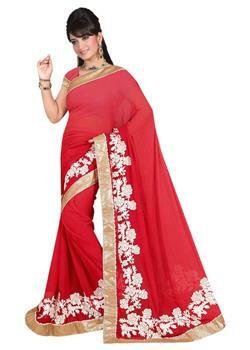 It is fabricated from thousand butti material for rich look also the border with zari embroidery, stones and so on. 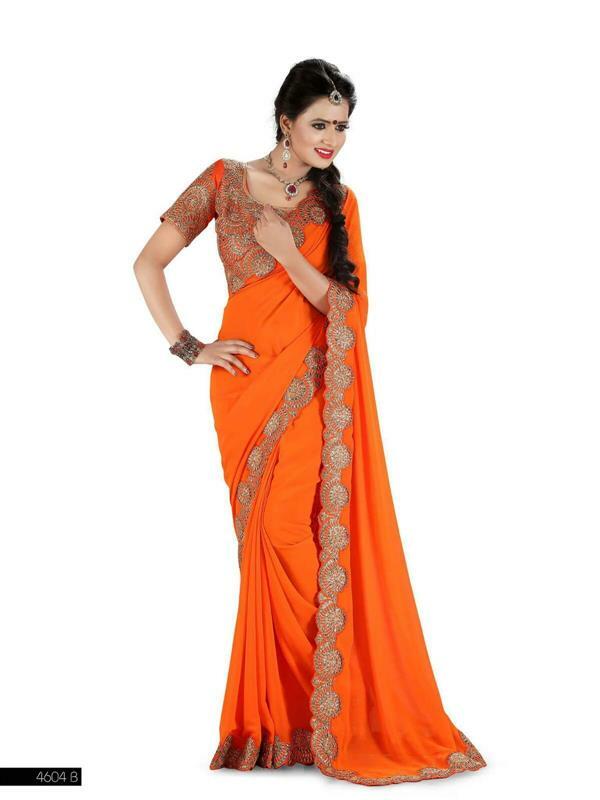 The exquisite pink strips on both side of border enhance the look of entire saree.